Pavel Büchler (b. 1952) is an artist, writer and lecturer. Winner of the 2010 Northern Art Prize, Büchler has been an influential figure in British art for many years, leaving Prague for Cambridge in 1981 where he became Co-Director of the Cambridge Darkroom, and then to Glasgow, where he was Head of the School of Fine Art (1992-96). He has been working from Manchester since 1997, where he is also Research Professor at Manchester Metropolitan University. Summing up his own practice as “making nothing happen”, he is committed to the catalytic nature of art – its potential to draw attention to the obvious and revealing it as ultimately strange. Büchler’s works are often subtle interventions exposing surprising perspectives through absence and disappearance and exploring a dialogue between the visible and the invisible. The Shadow of its Disappearance (2011) consists of thirty drawings produced by Büchler throughout the recent summer. 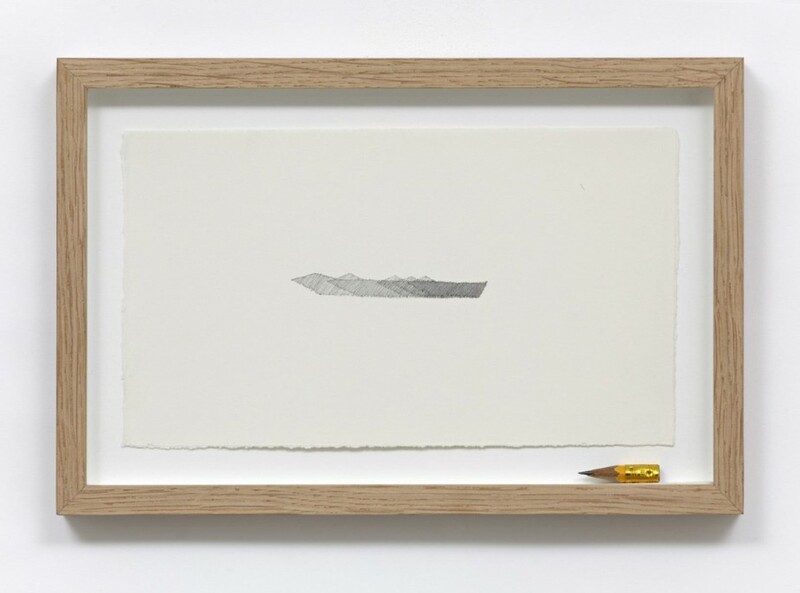 Each drawing records the shifting shadow of a found pencil. As the pencil’s substance becomes diminished by the perpetual action of the artist, the shadow is retained as a meticulously rendered record of an otherwise lost presence. Also on display is an earlier drawing, Human breath traced from the shadow of a pierced balloon found in Tampere with a pencil taken from the children’s section of the city library; erased and the pencil shaved to nothing. Evoking the gentle, constant motion of things that both breathing and shadows represent, the drawing explores the dialectic between content and form: the balloon giving form to the breath, and the pencil to the shadow. I loved “The Shadow of its Disappearance”. I thought this artist was very good and i loved the work, i thought about the time and effort he had put in to making these beautiful pieces and i think they will really inspire people.